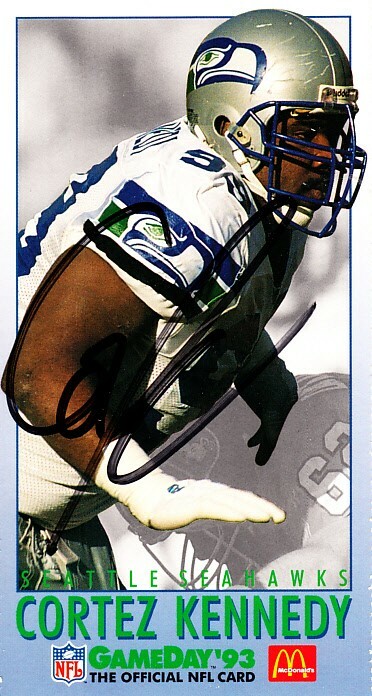 1993 McDonald's GameDay card autographed in black marker by former Seattle Seahawks Hall of Fame defensive tackle Cortez Kennedy. ONLY ONE AVAILABLE FOR SALE. With certificate of authenticity from AutographsForSale.com.